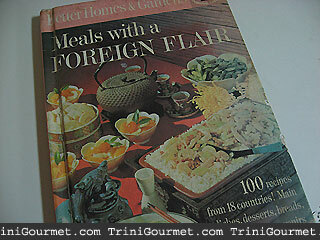 I originally made this recipe for a 2007 edition of “Weekend Breakfast Blogging: Ethnic Dishes With A Twist”. Since then it has generated quite a bit of traffic, especially from Chowhound, something that -really- makes me smile 🙂 In the original challenge the host wanted us to make a dish from a culture, country, or ethnicity other than our own. Well wow, that really left me in a bit of a tizzy 🙂 I wasn’t (at the time) familiar with that many breakfast dishes, and those that I did know invariably came from my own cultural/ethnic/national mixes. Nothing I found peaked my interest until I pulled out a vintage cookbook that I used to look through a lot as a child but have never seen my mother use. She says it was a gift but nothing in it ever appealed to her. Was she insane? Just look at that cover 😀 If this couldn’t give me the answer, nothing could. I was not disappointed. 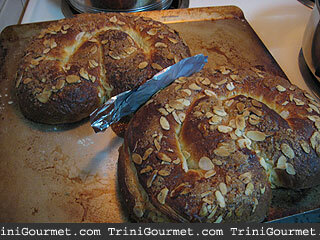 The chapter “Breads from Abroad” opened with a stunning photo and recipe for a Danish Kringle. I knew that this would be my contribution immediately! I loved everything about the recipe. The name, the photo, the ingredients, the description. 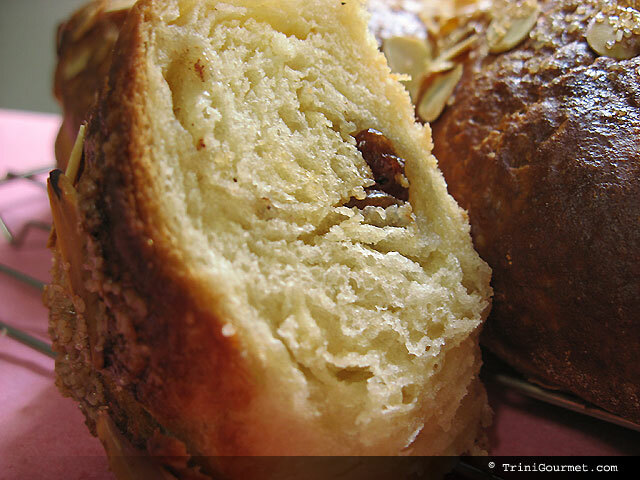 Flaky butter-rich layers fold around sweet’-n-spicy raisin filling; crisp almonds toast atop! Kringle is a pastry developed in Scandinavia. In Danish and Norwegian the word is kringle, plural kringler; Swedish: kringla, plural kringlor; Icelandic: kringla, plural kringlur; Finnish: rinkeli. The word origins from Old Norse kringla, meaning ring or circle. In Scandinavia kringle denotes the pretzel-like knotted shape rather than the pastry type. 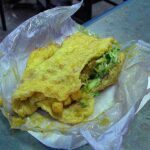 Kringles may be made from puff paste (like Danish pastry) or yeast dough, filled with remonce or marzipan and raisins, sprinkled with coarse sugar, nut flakes or iced. Small saltkringler also exist, being the Danish word for pretzels. 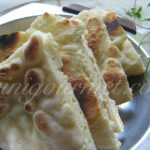 Kommenskringler are half-hand-sized breads in kringle shape, made from unsweetened yeast dough with caraway seeds. Sukkerkringler are similar, but sprinkled with sugar instead of caraway. Kringles are still popular items in modern Danish bakeries. The kringle symbol is one of the few ancient guild signs still being used and a golden kringle sign is often hung outside bakeries. Add 1 teaspoon ground cardamom to 1/4 cup soft butter; gradually stir in 2 cups sifted confectioners’ sugar. 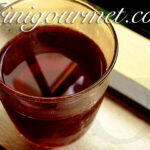 Blend in 2 tablespoons cream; add 1 cup light seedless raisins and mix. 2. Roll between sheets of waxed paper to 10 x 4 inch rectangle. Chill. 5. 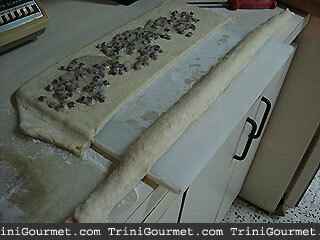 On floured surface, roll to 12-inch square; place chilled butter in center; overlap sides of dough atop butter. 7. Repeat folding and rolling twice more. 8. Wrap in waxed paper. 10. Roll to 24×12 inch rectangle. 12. 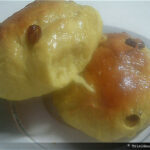 Spread each with Raisin Filling and roll as for jelly roll, starting with long side. 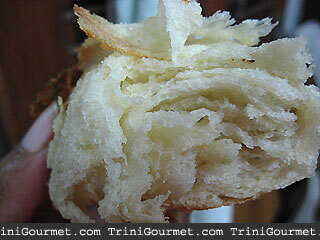 For more recipes like this one check out the Bread & Baking section of Veni Mangé – The Trinigourmet Amazon Bookstore. This post was originally published on August 27, 2007. It has been updated once since then.